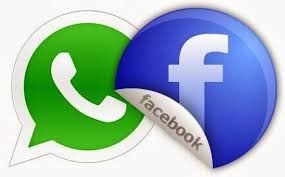 At a time when governments are striving for stringent data security and privacy, users in Israel are now reportedly connected to WhatsApp through the Facebook servers, said a report on Monday. According to WABetaInfo, a popular fan website that tracks WhatsApp Beta, the switch has been made to ensure better connection quality. “All users from Israel are now connected to WhatsApp through the Facebook servers,” the website tweeted. WhatsApp, however, was yet to confirm the report. According to WABetaInfo, WhatsApp (or Facebook too) can just read metadata of messages. “For example if the message you are sending is an image, a video, a sticker etc.. its date, the phone number of the recipient (otherwise the server wouldn’t know where the message should be forwarded),” WABetaInfo tweeted. Replying to WABetaInfo, a Twitter user said: “Encryption is not a problem. Its just that metadata like last seen, online time, etc. which are dynamic and are not needed after a particular time, must be wiped from servers”. The website, however, said that the fact that WhatsApp is starting to use the Facebook servers must not worry you. “This just ensures a better quality of the connection. All chats and calls are end-to-end encrypted, so WhatsApp/Facebook/anyone cannot read/listen them. Everything is encrypted, also Stickers,” WABetaInfo tweeted. WABetaInfo has asked people to wait till May “to see which data are really stored in the WhatsApp server and if they might be a problem for us”. The European Union (EU) has asked businesses and service providers globally to comply with its new privacy law — the General Data Protection Regulation (GDPR) — that comes into force from May 25 this year. The EU GDPR has been designed to harmonise data privacy laws across Europe — to protect and empower all EU citizens’ data privacy and to reshape the way organisations across the region approach data privacy. WhatsApp last month signed a public commitment with Britain’s Information Commissioner’s Office (ICO) not to share users’ personal data with Facebook until data protection concerns are addressed. “WhatsApp has assured us that no UK user data has ever been shared with Facebook (other than as a ‘data processor’),” Information Commissioner Elizabeth Denham said in a statement. This entry was posted in FaceBook, Facebook, WhatsApp and tagged Facebook, Facebook servers, WhatsApp. Bookmark the permalink.